February, 2012--This was a 4 day class taught by Sandy Arthur at the 2011 ANG Seminar in San Antonio, TX. Much of the classroom time was taken up with getting the hair just right. Those yellow banana curls were a lot of fun to make but definitely fell under the title "crafts". I was glad to get that done while in the class--it never would have happened left to my own devices at home. 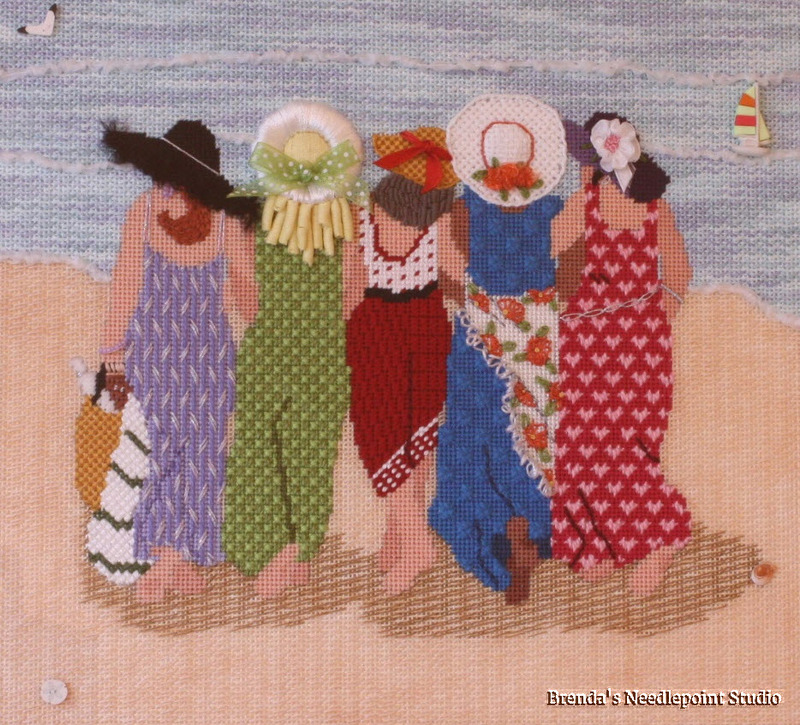 This project was chosen by the Rehoboth Beach Museum as a marketing piece for their Annual Needlework Exhibit, published in their brochures and in local newspapers (such as the Cape Gazette). Sandy Arthur was credited as the designer and my name shown as the stitcher. Congratulations! I can see why they wanted to use such a wonderful piece. Thanks! This was such a fun design to stitch. I have it hanging in my guest room and everyone always has terrific things to say about it. Journey, and a grand one at that.